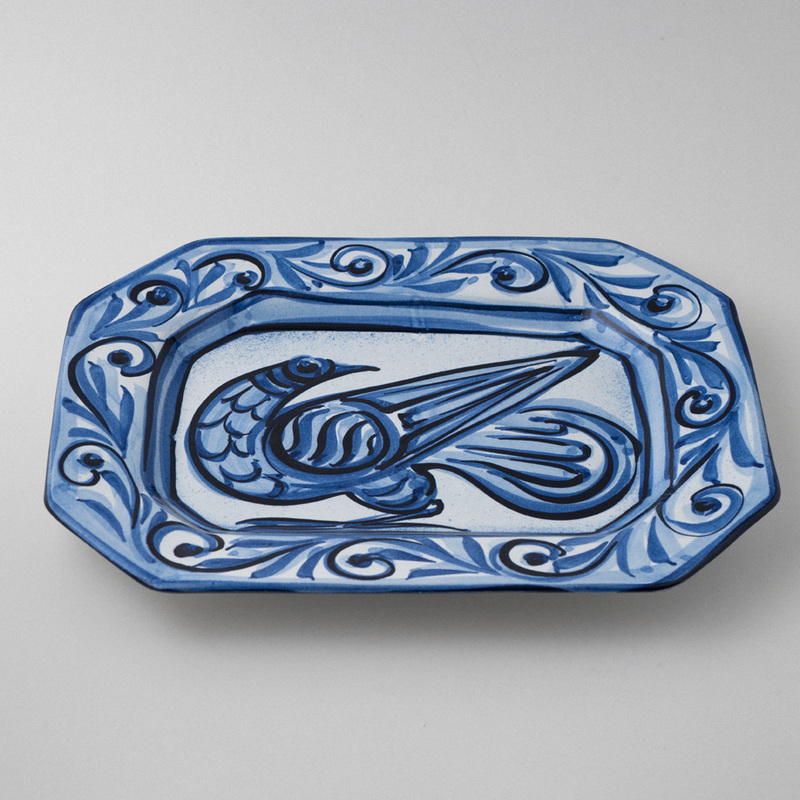 Octagonal dish with a Phoenician bird in cobalt blue by Brian Fortune. 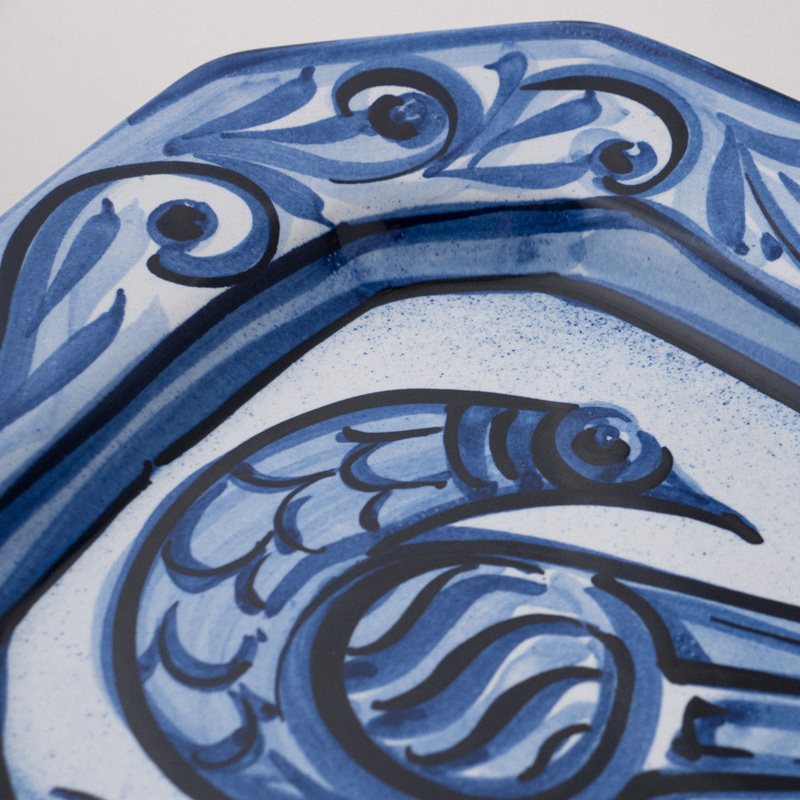 This dramatically decorated eight-sided dish is a large size and it is decorated with a meandering pattern and a Phoenician bird motif by Brian Fortune. 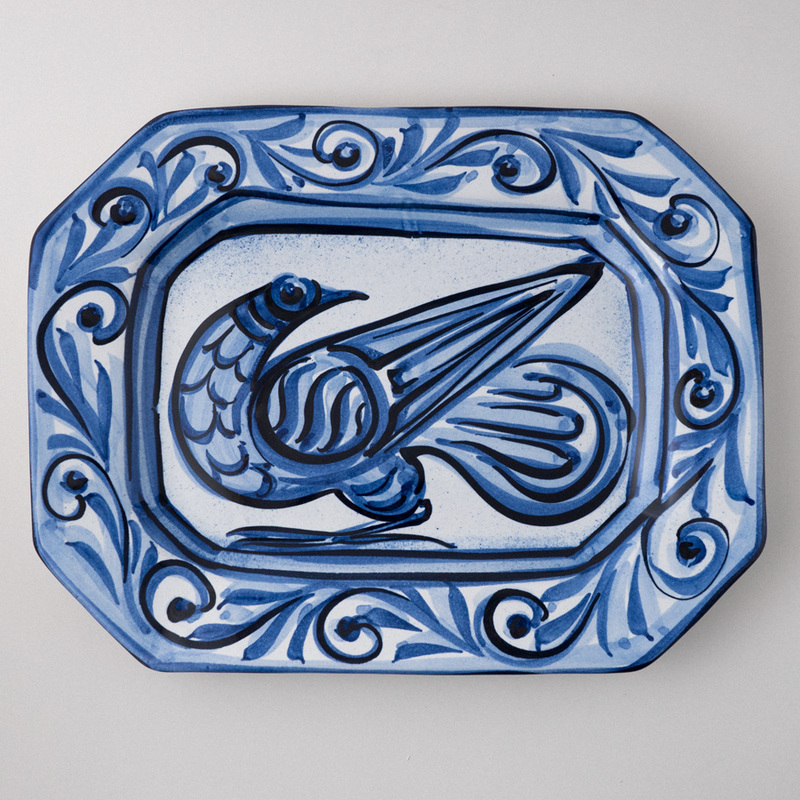 The platter is painted by hand in cobalt blue with light touches of black on a white ground. Approximate dimensions; length: 40cm, width: 31cm, height: 4cm.